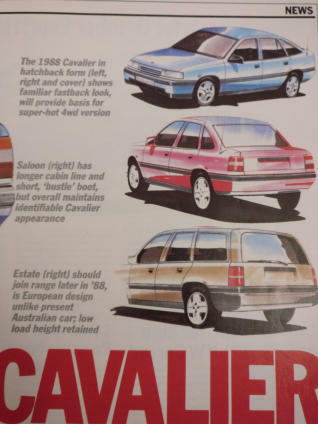 As these images show a Cavalier Mk3 Estate was proposed for launch not long after the Saloon and Hatchback Cavalier Mk3. A conversation with a prospective customer from the time who advised me that dealers where advising prospective customers that the car was coming and pointing them towards the Astra Mk2 Estate and Carlton Estate as an alternative. In the end the Cavalier Mk23 Estate was never made, as GM decided that as the Cavalier Mk2 Estate had not been a huge seller the market segment could be covered by the Astra Mk2 Estate which was smaller and the Carlton Estate which was bigger. The Cavalier Mk3’s replacement the Vectra B was offered with an Estate, but the load capacity was blizzard less that the equivalent Astra Mk4. 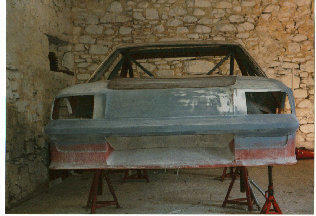 A little know fact was that the Vectra B should have been called the Cavalier Mk4. That is a story for another section on the website.